Any good research scientist knows that theories are only theories until they’re proven. But some theories are nearly impossible to test, such as the Infinite Monkey Theorem, which states that a monkey, randomly hitting keys on a typewriter for an infinite amount of time, will eventually produce the complete works of William Shakespeare. Well, infinity isn’t standing in the way of Dr. Hubble! He’s determined to prove the theory correct by assembling a cast of zany assistants and six monkeys with six different writing devices, whose only job is to get writing! But Dr. Hubble soon learns that the task may prove even more difficult than infinitely impossible. 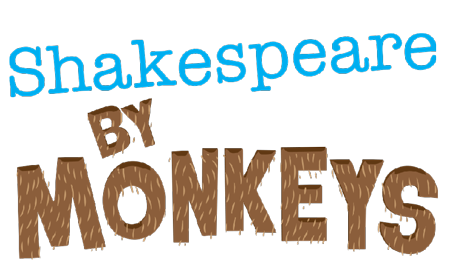 School-aged casts will have fun monkeying around with this fast-paced and absurd one-act!